Consumers today are very different than they used to be, yet have a strong interest in where their food comes from, including how food animals are raised and handled. 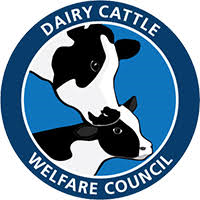 To help build consumer trust in dairy products, the Dairy Cattle Welfare Council (DCWC) is pleased to offer the webinar series for 2018. These one-hour live educational sessions are available to attendees from across the United States as well as around the world (recordings are available to DCWC members). Live webinars are free of charge, but you must register. In this session: While there are still knowledge gaps to fill in our understanding of lameness in dairy cattle, the problem of cows walking with a painful limp can be solved by implementing our current knowledge targeted at the key hoof lesions; digital dermatitis, white line disease, and sole ulcer. Webinars are geared toward dairy farmers, veterinarians, consultants, industry, Extension/academia, and government representatives interested in many aspects of dairy cattle welfare. Professional, undergraduate, and graduate students are strongly encouraged to participate.